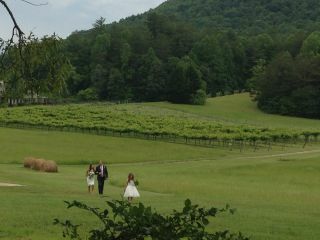 Tiger Mountain Vineyards is a boutique, northern Georgia winery perfect for an outdoorsy wedding. 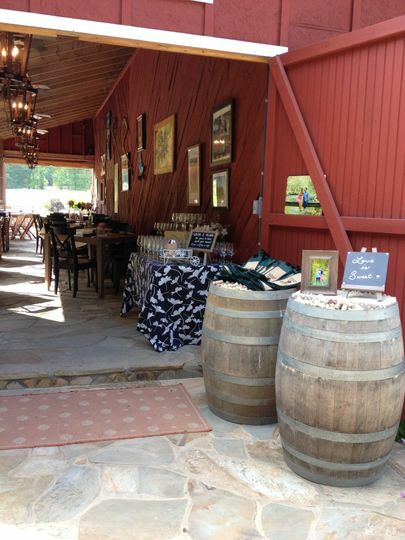 The venue produces its own handcrafted wines in the mountains of Raben County. 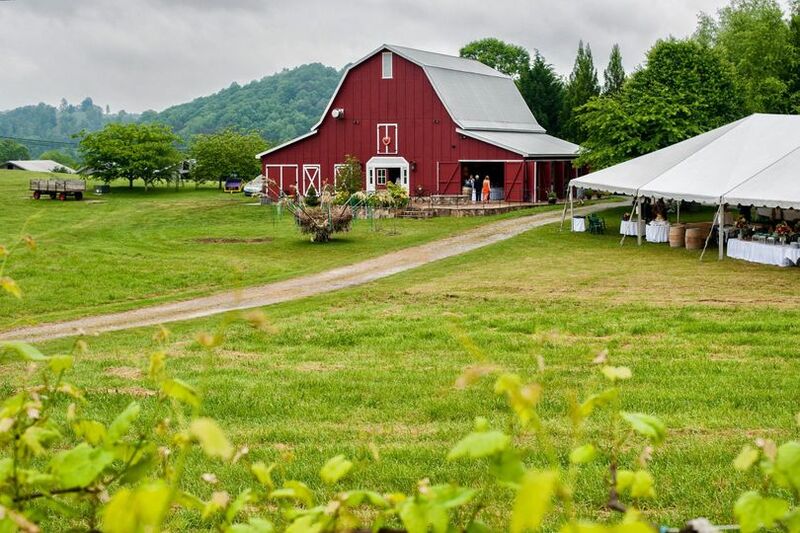 From spring to fall, the venue opens up The Red Barn Cafe for weddings and special events. 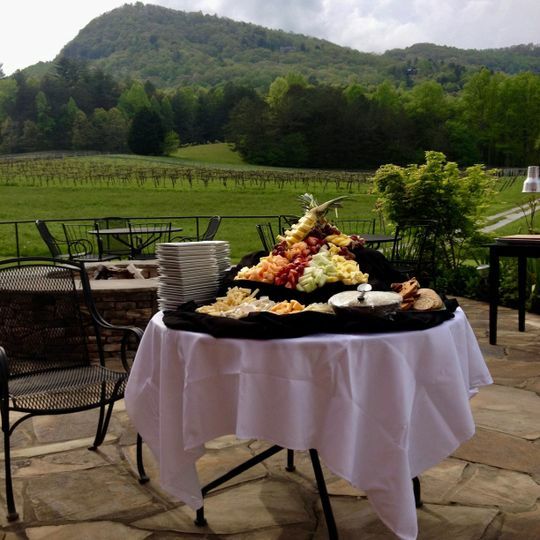 Looking for spectacular mountain views and a tasty red? 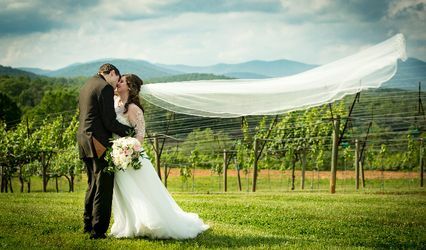 Tiger Mountain Vineyards is the perfect combination of craftsmanship and quality of product, which means your wedding will be handcrafted, unique, and unforgettable. Event rentals are provided including tables, chairs, and an altar/arches. 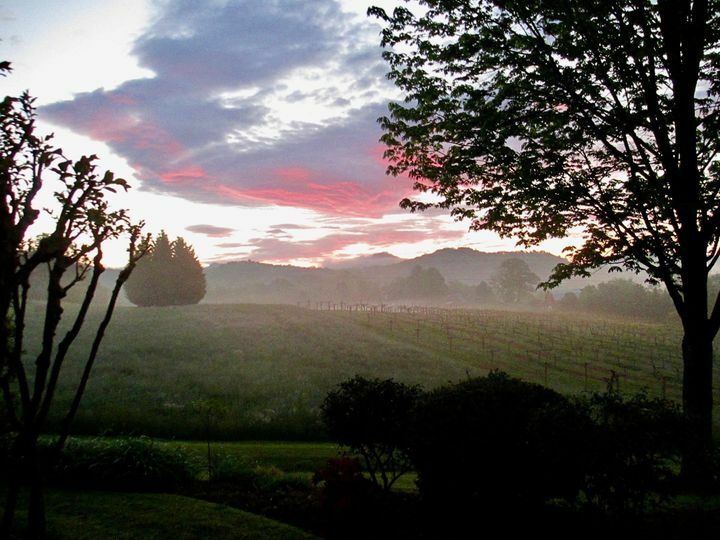 The manager and staff at this vineyard are welcoming, supportive, and flexible. Just like you, they want to make couples' wedding dreams come true and hope to put you at ease. They also provide barware, flatware, and glassware — one less thing you have to think about. 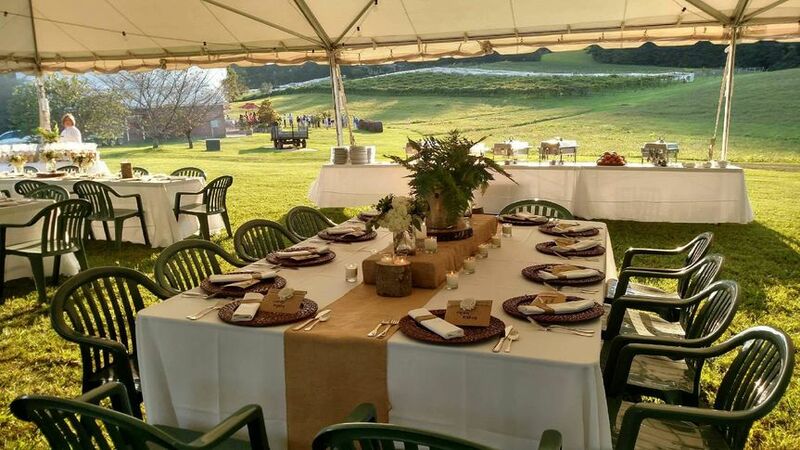 The venue hosts other kinds of special events as well, like group events, birthdays, and business dinners. 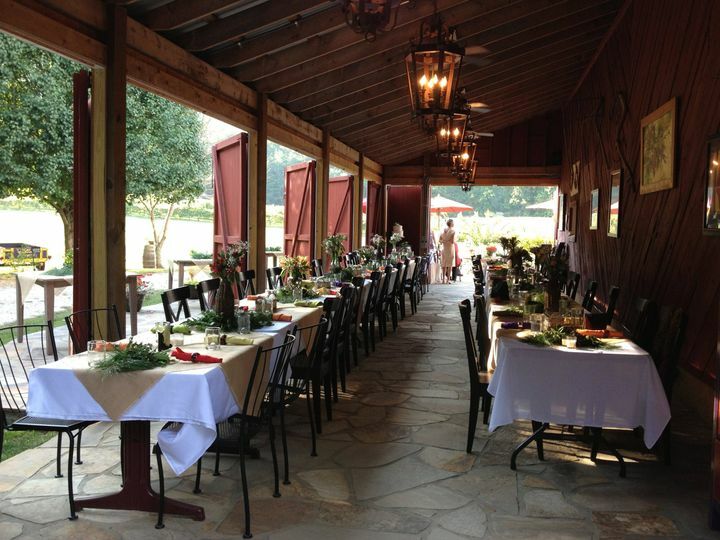 Tiger Mountain Vineyards is no stranger to local, delicious food. Just like their handcrafted wines, the culinary team pays close attention to detail and want to serve the best food at couples' wedding. 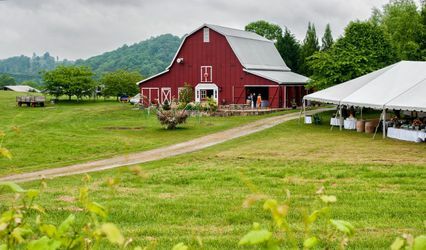 Several chefs work with Tiger Mountain Vineyards and Red Barn to cater all wedding receptions. 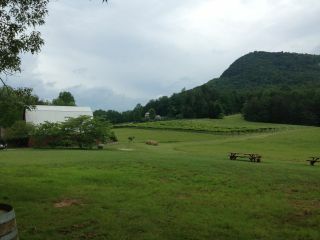 Dr. John Ezzard and his wife Martha planted over nine acres of grapes when the vineyard was just starting in 1995. 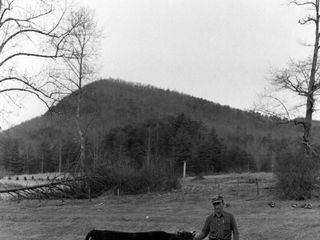 Since then, the vineyard has curated delicious wines with the help of partners John and Marilyn McMullen. 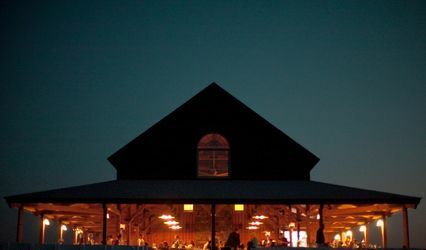 In 2011, they began refurbishing the 75-year-old red barn, which became the Red Barn Cafe. 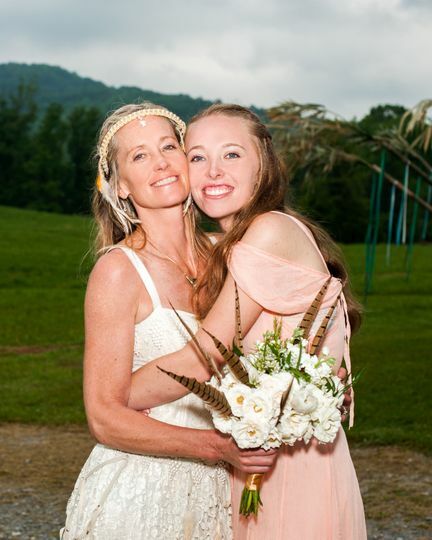 This was absolutely a fairy tale dream come true for my Daughter! Tiger Mountain Vineyards staff were so helpful and accommodating! Delena, Dominique, and Lisa were amazing throughout this entire experience! I would recommend this venue to anyone and everyone! 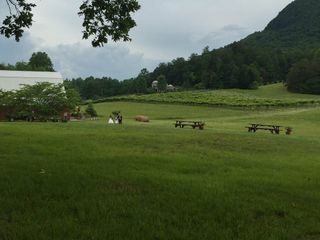 We completely stumbled upon Tiger Mountain Vineyards on a mini vacation to North Georgia. 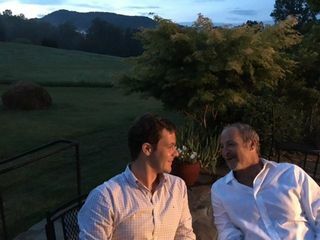 When we heard they did weddings, we looked into it. Lisa, the manager, and her staff were so welcoming and sweet! We had a fabulous lunch by their chef and got a tour of the grounds. 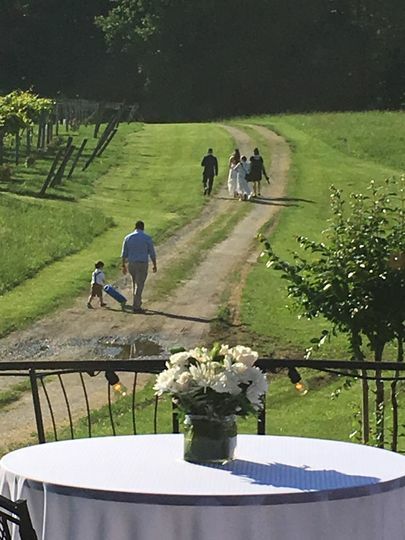 Since we committed to using their vineyard as our venue, Lisa has done everything she can to be accommodating to our needs and wants. We are planning from Florida, so it is a bit more difficult to plan, but she has definitely helped put us at ease. 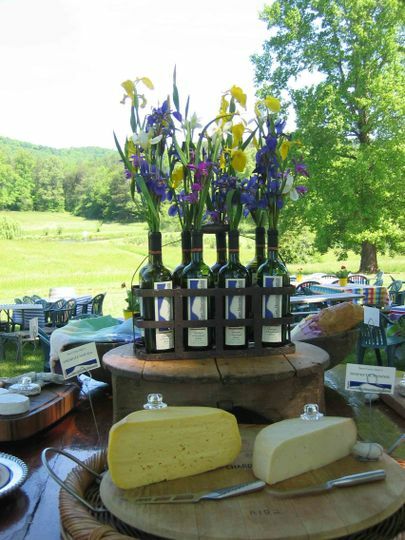 Whether planning a wedding or just want great wine and food, visit TMV! 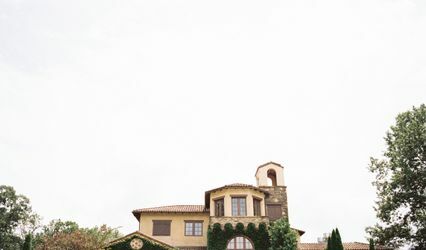 Receive a 20% discount on all cases of wine purchased for rehearsal dinners and weddings, and also receive a complementary wine club membership, which includes free wine tastings and invitations to our yearly Harvest Party and Awakening the Vines celebrations for wine club members only.